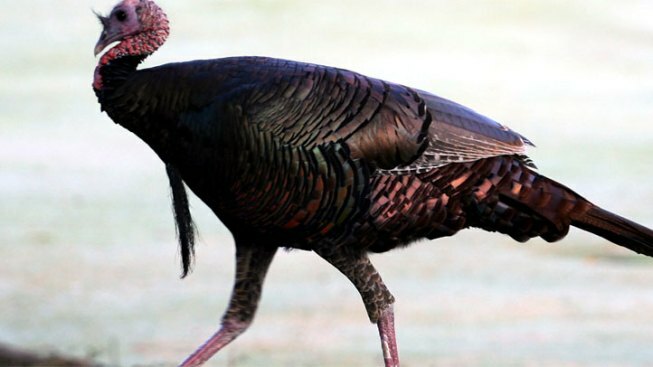 No one was injured after a large wild turkey crashed into a sport utility vehicle traveling along Interstate 95 in central Maine and shattered its windshield. The Morning Sentinel reports 50-year-old Tilden Spencer was driving with his wife on the highway in Pittsfield when a turkey hit the driver's side of his Chevy Trailblazer around 9:30 a.m. Wednesday. The impact of the bird shattered the windshield, but a plastic safety guard kept most of the glass from falling through. Spencer estimates that the turkey weighed between 15 and 20 pounds. It died at the scene. Spencer says it all happened so fast that he couldn't even see the bird flying across I-95. Trooper John York says a turkey-related accident is unusual in the state.